MANY ELEPHANTS are being hunted for their skin across Asia and the problem is reaching a crisis point, said a report released yesterday by an international NGO that is dedicated to protecting the animals from extinction. If Chinese leaders thought that saying goodbye to their least favorite US military commander, current US Pacific Command chief Admiral Harry Harris, would mean a more amenable replacement is on the way, they had better guess again. ASEAN’s Master Plan for Connectivity and China’s New Silk Road have major commonalities. While many countries across the globe are cutting down on their military expenditure, ASEAN member states are heading in the opposite direction. Bond Pricing Agency Malaysia (BPAM) said today that the Association of Southeast Asian Nations (Asean) bond market is growing significantly with an estimated combined market size of US$1.229 trillion (about RM4.801 trillion) as at end 2017. It might be the most dynamic region in the world but the Asia Pacific isn’t meeting its economic potential, and some of that has to do with gender equality, according to the McKinsey Global Institute. Southeast Asia is the world’s hottest online battleground. This infographic explores the unique market dynamics, and three ways companies can win. Bond Pricing Agency Malaysia Sdn Bhd (BPAM) is tying up with Indonesia Bond Pricing Agency (IBPA) and the Thai Bond Market Association (ThaiBMA) to launch the new ASEAN3 Government Bond Index (A3GBI) yesterday. A Singapore supply chain management company has linked with a Chinese e-commerce logistics services firm to expand their businesses in South-east Asia and beyond. FINANCE ministers of the Association of Southeast Asian Nations have just concluded their 22nd Meeting in Singapore, as Asean embarks on the second half of its journey towards its centennial. 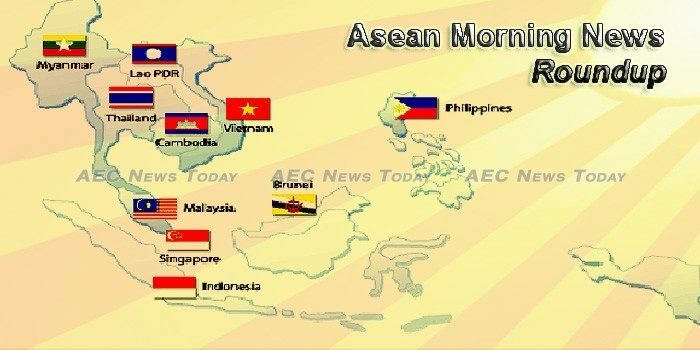 Regional leaders will gather in Singapore from today till Saturday for the 32nd Asean Summit and related meetings, during which they will discuss the grouping’s top priorities, programmes and challenges. Singaporean Prime Minister Lee Hsien Loong’s 50th Anniversary Lecture for the Yusof Ishak Institute of Southeast Asian Studies on 13 March 2018 was notable for its open acknowledgement of some of the difficulties facing ASEAN, which Singapore is chairing this year. Southeast Asian leaders will focus on trade wars, the crisis in Myanmar and security tensions in the disputed South China Sea at a summit this weekend, but it’s highly unlikely there will be any headline-grabbing progress on the issues. David Pong was traveling in Australia when a bout of exhaustion stopped him in his tracks and prompted him to reconsider his direction in life. China takes the limelight as the main focus for WeWork in Asia, but the company is pushing ahead with plans to grow its presence in Southeast Asia. Phinma Education, the education arm of the Phinma Group of companies, is eyeing Vietnam for its next venture in Southeast Asia after its recent foray in Myanmar. The Ministry of Commerce issued a notice, dated on April 21, 2018 to all the merchants who imported goods into the US market from January 2018 to request a tax refund after the US continued the Generalized System of Preferences (GSP), which provides duty-free treatment to goods of designated beneficiary countries. Try Pheap Group and Guangxi Beibu Gulf International Port Group, on Tuesday, signed agreement on cooperation for the development of port that can accommodate vessels weighted from 10,000 to 30,000 tonnes to dock. State electricity company PLN president director Sofian Basir stated the company suffered loses around Rp10 billion in a year due to the electricity theft. “Please share that theft is a criminal act,” he said in the Parliament complex, Tuesday, April 24. What to make of Indonesia’s consideration to join the TPP-11? When former president of the United States (US), Barack Obama mooted the idea of the Trans Pacific Partnership (TPP) to Indonesia’s president, Joko Widodo in 2015, the latter opted for a ‘wait and see’ approach. After months of deliberation, Laos’ Prime Minister Thongloun Sisoulith announced this week that the country’s minimum wage will increase from 900,000 kip ($108) to 1.1 million kip per month. This rise is set to take effect from early next month. The Asian Development Bank (ADB)’s Board of Directors has approved a US$30 million policy-based grant to help the Lao government expand healthcare coverage and improve health services in the country, the bank said on its website on Monday. Lao Prime Minister Thongloun Sisoulith, his spouse and a high-level delegation are scheduled to attend the 32nd Asean Summit to be held in Singapore on April 27-28. Malaysia’s total external reserves surged US$2.2 billion to US$110.0 billion at mid-April 2018, the highest since end of February 2015, underpinned by capital, trade and corporate flows. The aerospace industry is targeted to generate annual revenue of RM55.2 billion and create more than 32,000 high-income jobs by 2030, says the Malaysia External Trade Development Corporation (Matrade). The Malaysian opposition is set to face vote-splitting multi-cornered fights for at least 20 out of 22 parliamentary seats, and 44 out of 56 state seats in its prized state Selangor in the coming Malaysia general election. As Myanmar prepares for yet another round of peace talks with ethnic armed groups, all eyes are on China. THE KAREN community has urged the Myanmar military to honour the Nationwide Ceasefire Agreement (NCA) after a report, due to be released today, said that more than 15,000 government troops have now invaded Karen National Union (KNU) controlled areas. The Philippines intends to capitalize on non-traditional markets to boost its exports sector should the looming trade war between the US and China escalate, Trade Secretary Ramon Lopez said. The country’s economy is estimated to lose P980 million per quarter or a total of P1.96 billion over the impending 6-month closure of Boracay, with Western Visayas to suffer the most, according to Socioeconomic Planning Secretary Ernesto Pernia. Much has been discussed and written since the start of the year in an attempt to divine who the next Prime Minister of Singapore might be, and the focus has fallen squarely on Chan Chun Sing, Heng Swee Keat and Ong Ye Kung. Singapore has contributed more than $500 million to the work of ADB to provide loans, grants and technical assistance that help the poor and vulnerable in Asia and the Pacific. THE Ministry of Finance is holding firm against efforts for a draft bill on the regulation of digital currencies to be watered down, especially with the imposition of a 15 per cent withholding tax on transactions. The Ministry of Commerce has allayed concerns among Thai online traders after Alibaba kicked off its investment in Thailand, saying the matter will not put a strain on their businesses. Viet Nam’s steel industry has high potential to reach a production growth rate of 22 per cent and expand export markets this year. Vietnam plans to slash its black pepper growing area by 26.7 percent in response to falling global prices, the chairman of the country’s pepper association said Tuesday. While foreign-invested manufacturers have shifted to importing cars for domestic sale, Vietnamese enterprises have increased investments and expanded production, vowing to develop a domestic automobile industry.